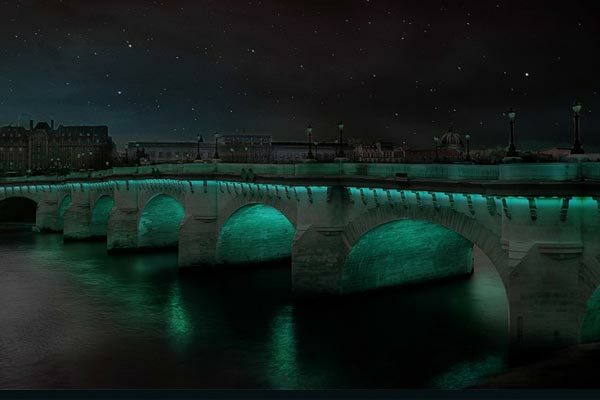 When scientist José Carlos Rubio came up with glowing cement – cement that glows at night, no doubt he intended it to illuminate roads and highways at night. Ever wondered what it would feel like to ride at nght on a road that does not have the characteristic marginal broken white lines? These will make driving at night quite a breeze. They provide the needed assist on narrow roads and in remote parts of town where roads are dimly lit or are outright dark. Imagine not having to rely on traffic lights or your own vehicle’s headlights to see the road. 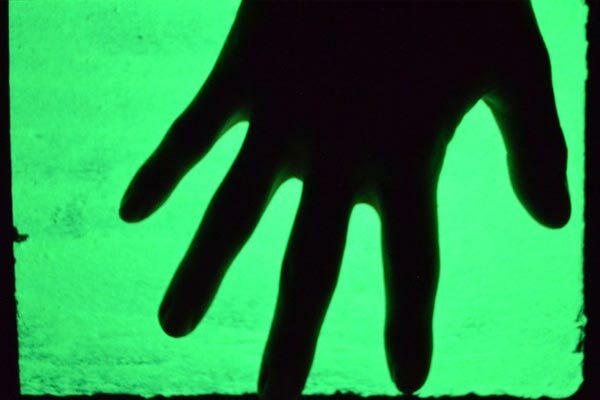 Mexican scientist Rubio Avalos altered the fine structure of cement over a period of nine years and came up with the variety that could glow in the dark. This breakthrough involved adding photoactive materials to the normal cement. This made it absorb and emit light. It came with the pressing challenge of finding a way to turn the characteristically opaque material, cement, into something that could soak up UV rays and light up. At the end, he was able to alter the microstructure of cement – starting by mixing the cement powder with water to make a gel-like material. The gel formed makes the material form crystals. The crystals are then removed to form Rubio Avalos’ glowing concrete. The resulting material allows sunlight to penetrate and be retained within the cement matrix without being reflected. 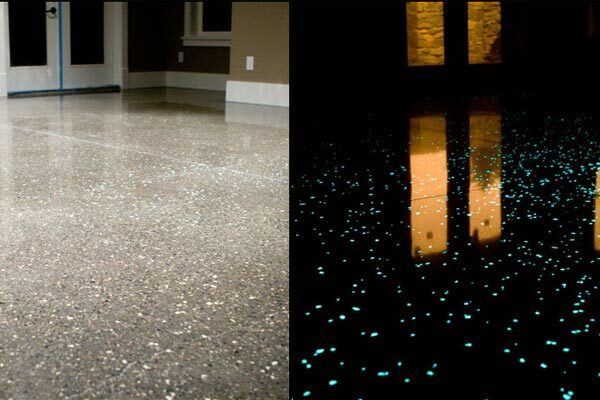 For starters, the solar powered, glow-in-the-dark cement can work indoors. The cement will draw the glow properties from the little UV rays in the course of the day to use during the night. The cement emits either green or blue colours. The light intensity could also be adjusted based on the place where the material is to be used or applied. Avalos explained that the cement can be charged even indoors or during cloudy days because it’s charging mechanism does not depend on direct sunlight. Plus, the material can emit light continuously for 12 hours before it requires a recharge. The materials being from dust, clay or sand, with the residue being water steam makes the glowing cement ecologically friendly. These properties make the cement is suitable for both interior and exterior applications. Given these features, Avalos said that some organizations have already made plans on how to make use of the product. Médecins Sans Frontières, a non-government organization intends to illuminate bathrooms where there are electricity and lighting problems. With this, they want stop the idea is to reduce the danger that women are potentially exposed to when they enter dark public toilets. 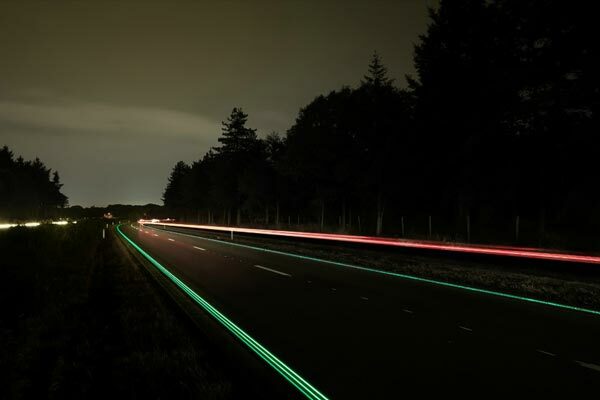 A solar-powered cement that glows in the dark and can withstand the harsh effects of the sun’s UV rays for at least 100 years revolutionizes roads. For one, instead of using floodlights, it is more cost-effective to use solar-powered cement in areas that require minimal street lighting. 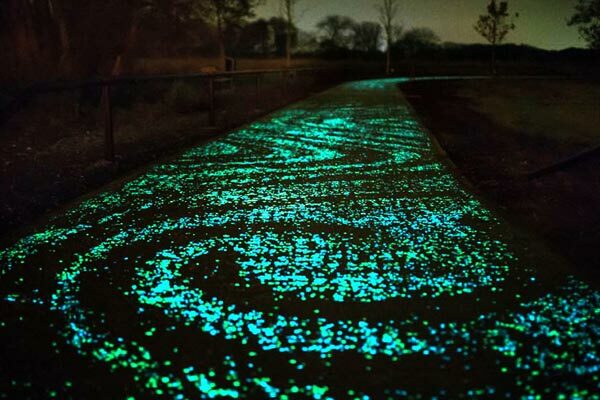 Referred to as solar road, this has already been tested in the Netherlands with stones that charge during the day and glow at night to illuminate a pathway for bikes. Before, the materials used to illuminate the bike path are made of plastic that easily degrades after a couple of years of exposure to the sun. In contrast, solar powered cement is durable and can be a relatively permanent solution to road lighting. Rubio’s work is not limited to cement. Since it is applicable for It can also be used in plaster. This is especially breathtaking, especially against dark backgrounds. This makes it possible to create luminous wall coatings. Imagine houses with walls that emit light at night. This can be good for both security and decoration purposes. Rubio Avalos says governments, businesses, and NGOs have requested that his cement to use to illuminate the inside of swimming pools. 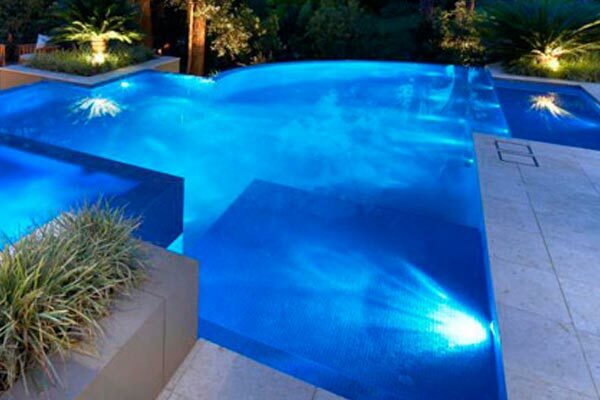 With this, you won’t need for alternative lighting and makes night swimming safer. Though the glowing cement is available only in bright green and marine blue colors, Avalos is working to produce varieties that can glow in red, white and purple. When these are realized, we can only expect buildings adorned with the said colors. Although the solar powered glow-in-the-dark cement is currently battling with issues of cost of production, there’s solid hope that all these expectations will be actualized in the near future.